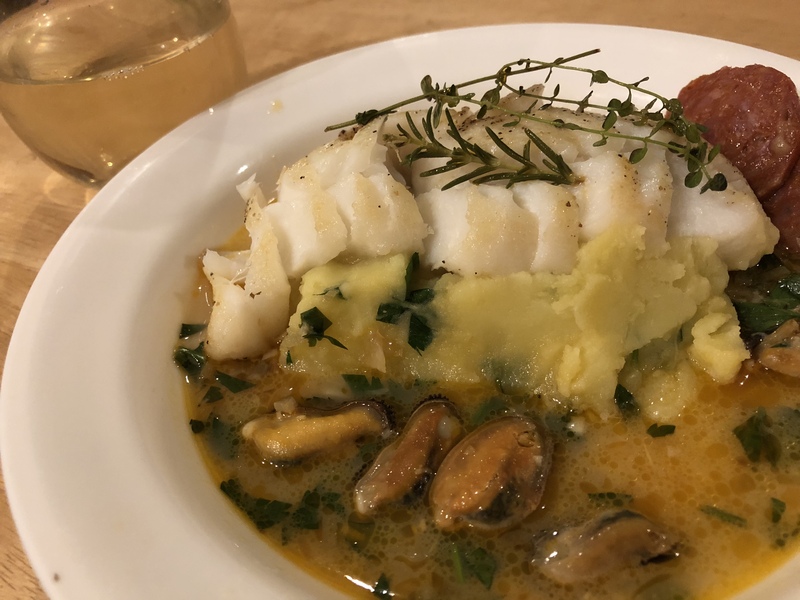 Sautéed cod with potatoes in a mussel-chorizo broth sounds pretty tasty. I found this recipe on the NYT Cooking site and the remarks said that the dish was an adaptation of one made by Eric Ripert, the famous NYC chef. It has a lot of steps. You have to prepare garlic roasted, sliced, and minced. There is a lot of cooking bits and setting aside while you cook the next bit. We do it all. I am chopping and mincing and slicing, peeling and mashing potatoes and John is sautéing and setting aside. Here is the finished dish. But here is the problem. Those little pieces of chorizo take over the whole dish. The broth tastes like chorizo. The mussels taste like chorizo. So do the potatoes and the beautiful cod. We might as well have spent way less time and effort and just made chorizo broth and served it over potatoes or rice. What a disappointment! 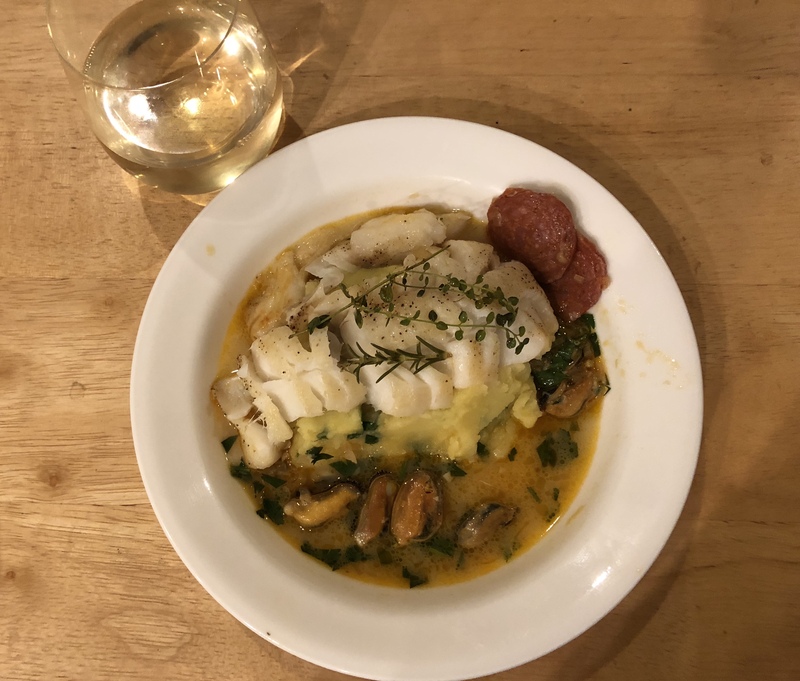 This entry was posted in Fish, French, Pork, Shellfish, Vegetables and tagged chorizo, cod, Fish, mashed potatoes, mussels. Bookmark the permalink.